Auckland, 11 October 2014 - ​At a time of real scarcity of high quality industrial facilities in desirable South Auckland locations, driven by strong interest and activity across the market, an A-Grade property has come up for sale at 13 Ha Crescent, Wiri. 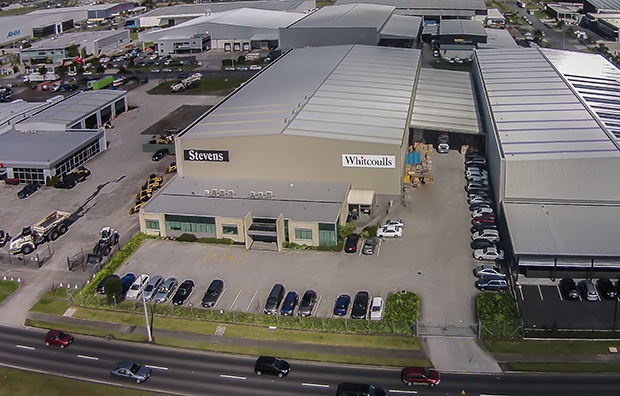 Marketed by Paul Steele, Mark Bramwell and Scott Soroka of CBRE on behalf of Stevens Limited, the property is for sale by Deadline Private Treaty, closing 4pm on Thursday 30 October 2014 unless sold prior. Vacant possession will be available from February 2015, giving the buyer time to plan for relocation. Paul Steele, Associate Director of CBRE, says: “This is an absolute A-Grade facility, a modern industrial property in one of Auckland’s most popular and fast growing industrial precincts. I know this is an often-used phrase, but it offers an extremely rare opportunity to acquire a building of real quality in an excellent location. 13 Ha Crescent comprises a 7,786sqm freehold site with dual street access. The buildings cover an area of 4,996sqm, comprising a 3,671sqm warehouse with 10 metre clear span and three roller doors, plus 508sqm of office space and an 818sqm drive-through canopy area. “Site coverage is approximately 64%, including canopy or 53% excluding canopy. The site provides generous car parking, manoeuvring areas and general site circulation. Currently zoned “Quarry” under the Operative District Plan, with the proposed unitary plan listing it as “light industry”, the property has a frontage of approximately 63m on to both Roscommon Road and Ha Crescent, only 2 kilometres from the State Highway 20 on/off ramp, providing easy access to State Highway 1, Auckland Airport, CBD and the greater Auckland area. Scott Soroka says neighbours include Croxley, Briscoes, Kiwi Steel and Cavalier Bremworth. “Ha Crescent is an established street in an up-and-coming industrial precinct. Much of the area was developed in the late 1990s and throughout the 2000s. Soroka adds that Wiri has become the focus of modern development over recent times. “Land close to and around Roscommon Road has been rapidly developed. This has been driven by a number of factors including improved transport links and scarcity of industrial land supply within Auckland. Steele adds that industrial yields in Wiri have firmed during 2014. “Prime industrial market yields are still firming, due to active investor interest amidst limited investment opportunities. Yields are being pushed by strong investor appetite and the banks have been keen to lend money, so there is a lot of competition now between owner occupiers and investors. 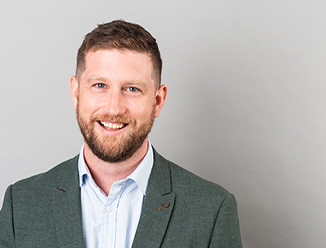 “The market is very tight, with not a lot of stock available for sale or lease, mainly because there has been strong take up during 2014 and new supply has struggled to meet demand. Investors are buying stock with income, and occupiers are buying empty buildings, with both essentially paying the same capitalisation rates. Vacancy in Wiri decreased in the six months to June 2014, with the overall vacancy rate for the suburb falling from 6.2% to 5.7%. Vacancy in Wiri is almost twice that in the rest of Auckland and currently represents around 18% of the total vacant industrial stock monitored by CBRE. This is largely due to the concentration of larger format warehouses in this area and the migration of businesses from B or C Grade stock into A Grade and new Design Builds. By way of example, Frucor Beverages recently moved into a new 17,000sqm Design Build and took their previous 16,000sqm building to the market. The Wiri industrial market experienced positive net absorption in the six months to June 2014, with secondary grade properties having the greatest impact at positive 12,147sqm since June 2013, Prime net absorption was over 70,000sqm since June 2013. Rental growth was observed along the quality spectrum in the Wiri market in the second half of 2014. Indicative net effective rents for Prime properties have increased around 4.4% on average since December 2013 and are currently assessed at $109/sqm. Secondary properties have increased to $79/sqm, reflective of a growth rate of 13.3% over the past 12 months. After a bit of a catch up, industrial rents in Wiri are now at similar levels to those generally within the wider Auckland region. Overall, indicative industrial yields in Wiri firmed in the first half of 2014. On an annual basis, Prime yields have remained moved lower from 7.63% in December 2013, to 7.25% in June 2014. Secondary yields have firmed 75 basis points since the beginning of the year, and are assessed at 8.50%. Both Prime and Secondary yields are firmer than those on average across Auckland.